Are you looking for a car subwoofer? 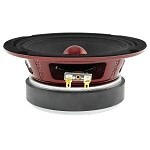 DBs Car Audio carries a wide selection of car subwoofers. DBs Car Audio can help you choose the best subwoofer for your ride. We can also help you with the design of your custom subwoofer enclosure for your car. We carry a variety of name brand car audio subwoofers from Audio Legion, DS18, Danom, Massive Audio, Kicker, Pioneer and more! We can guide along the way in choosing the best components to help you build a your personalized system.